I type this from my bed, right foot raised on several pillows. 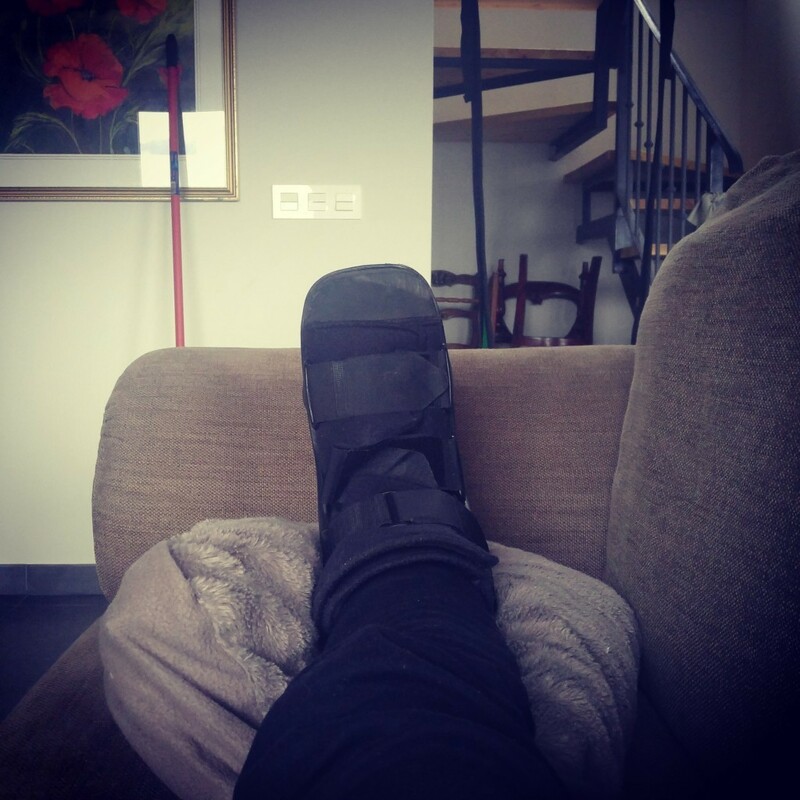 A moment’s inattention on unaccustomed high heels and uneven cobblestones turned my foot to the side and left me with a fracture at the base of my 5th metatarsal. Ouch. And arse. Not the start to the new year that I had been hoping for. The get fit, get strong campaign – put back from last year by a torn shoulder that took from January to December to heal – has been put off again. I won’t be accompanying my new-found hiking buddies up any mountains any time soon. My busy work diary of meetings and viewings has flipped from exciting to burdensome as I need to commandeer my husband as chauffeur and I discover just how tiring a day hopping about on crutches can be. And how unconducive to the speedy healing of a broken foot. Time to delegate, collaborate and learn new ways to work. To find ways to minimise my time on the road or upright and weight-bearing. Time to discover new diversions to entertain and fulfill. As ever, each new challenge that life throws up is a call to creativity. Time for a reboot. Who knows? Maybe I’ll come out the other side with an improved business model, recent friendships deepened in my time of need and family ties strengthened through the pursuit of suitably sedentary new projects together. Heck, if I make the most of my sofa-bound time I might even wind up with a first draft of my book on my hard drive and not just an encyclopaedic knowledge of the Netflix catalogue. When life gives you crutches try rebooting. I feel your pain. After my bimalleolar dislocated fracture nearly three years ago, life def took on a different view. Still can’t walk properly. Oh my, that sounds really nasty! Really sorry to hear it. Noooo! !Poor you-if you haven’t already, then pick Ralph’s brains…he was an absolute hero when I broke my leg and came up with some ingenious solutions to the mobility and domestic challenges…as for crutches, they’re an excellent core and forearm workout!I can recommend devising a bed-based pilates routine to keep your quads and glutes active too and that should speed up recovery a bit.You’ll be back on the rock before you know it!! How are you doing? So sorry not to see you when we were over, but I didn’t want to bother you with your injury you poor thing. We will be back however, that’s for sure!